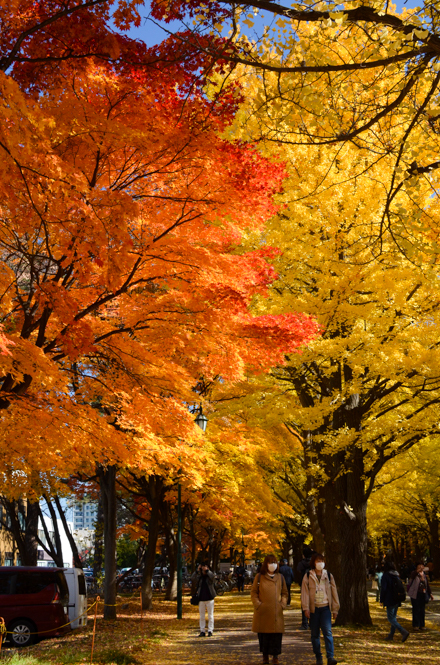 It is said that the Fall Foliage of the Hokkaido turns into red color at the earliest in Japan. 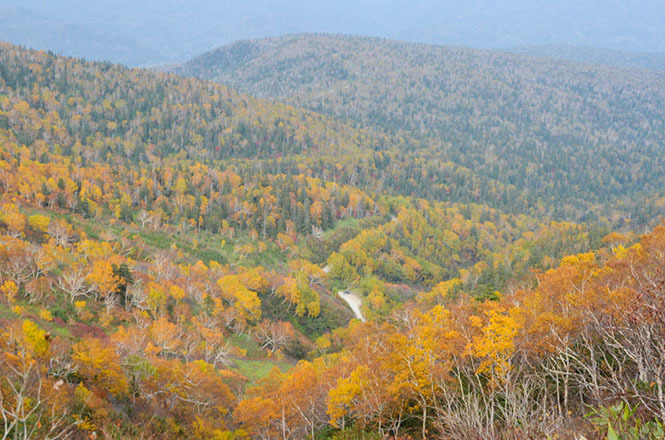 The best time to see the fall foliage comes in Daisetsu-zan at high altitude, and it comes gradually in low areas. 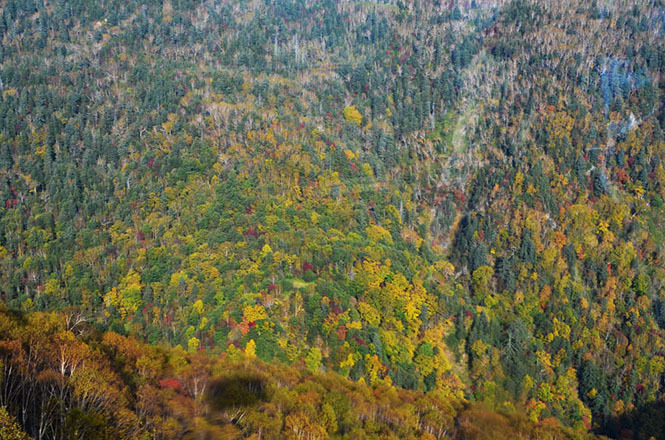 It comes in Mt. 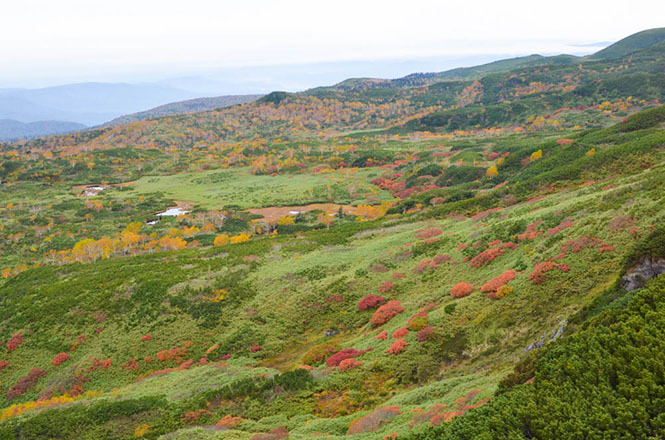 Asahidake (旭岳) and in Mt. 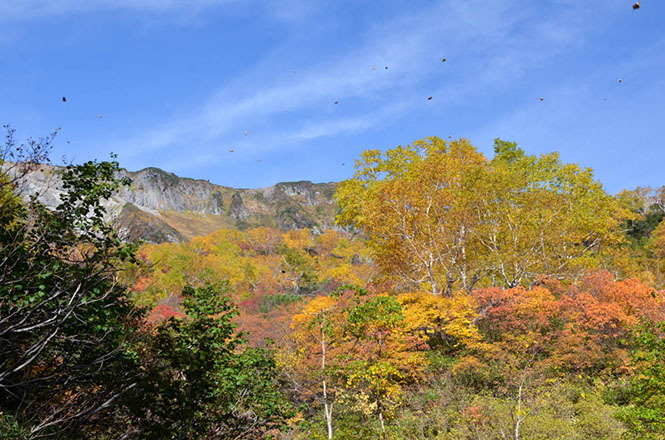 Kurodake (黒岳) in mid September, and autumn leaves fall in early November. 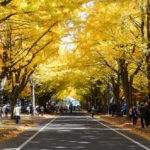 As for the highlight of the Fall Foliage of the Hokkaido, tourists are bowled over by vast nature with the fall foliage, or are bowled over by small space that goes well with the fall foliage. 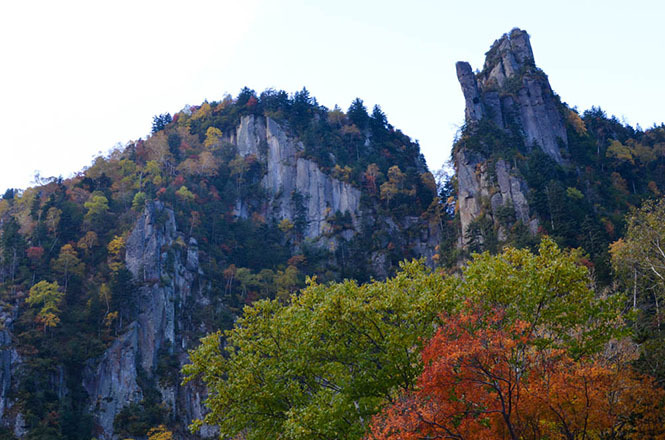 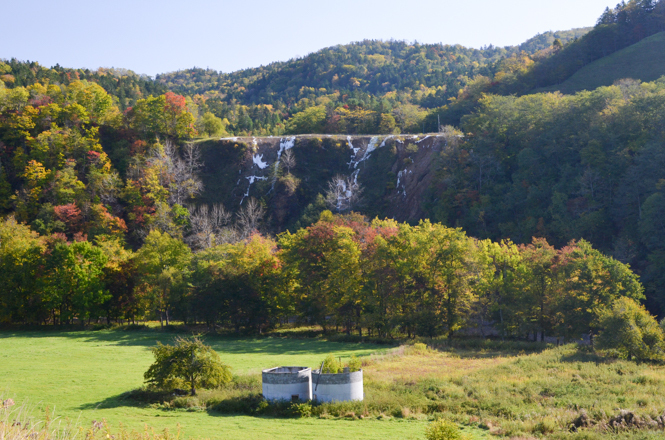 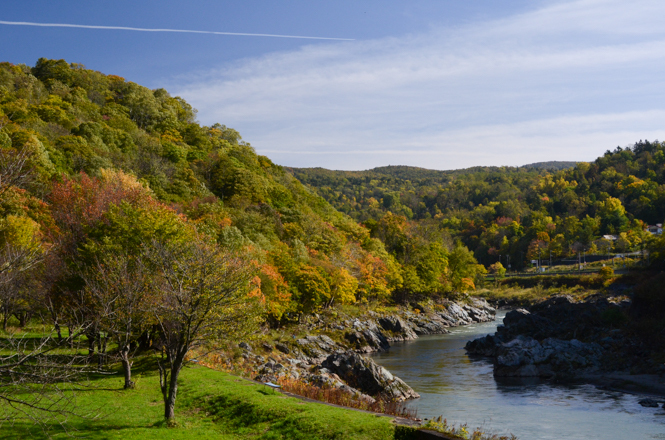 Except famous beauty spots for the fall foliage, there are less famous beauty spots for the fall foliage such usual mountains and rivers or gorges here and there. 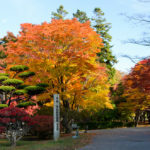 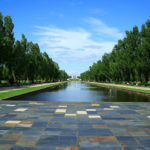 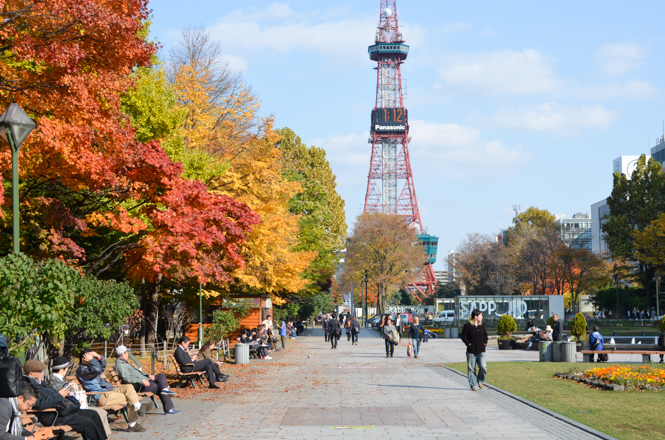 The fall foliage around Hakodate city can be enjoyed until early November, the latest fall foliage season in Hokkaido. 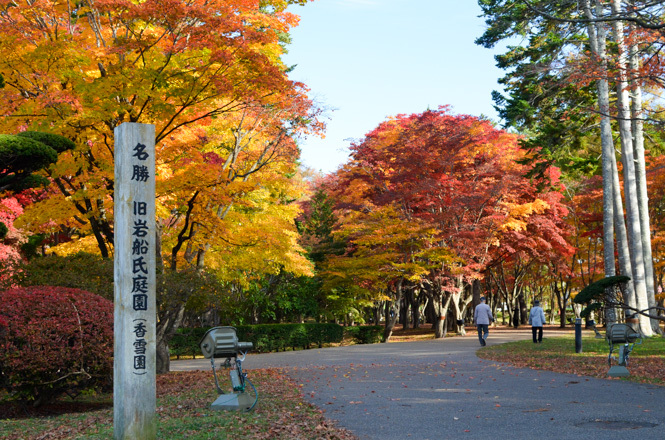 Onuma Quasi-National Park (大沼国定公園), Kosetsuen (香雪園), Esan (恵山), Daisanzaka Slope (大三坂), Goryokaku Fort (五稜郭公園), Sasanagare Dam (笹流ダム) and Unseki Pass (雲石峠) are known as the beauty spots for the fall foliage. 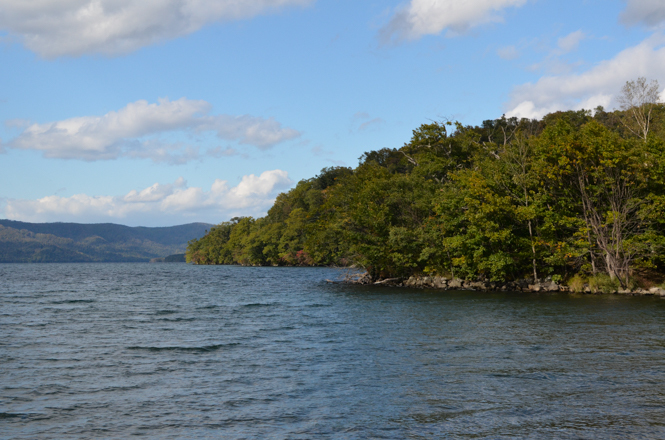 I visited the Lake Onuma and the Kosetsuen to see the fall foliage, and those were fantastic! 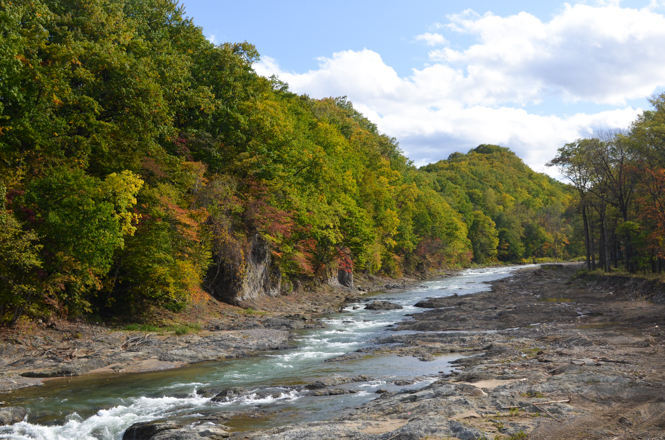 Central Hokkaido is the largest land in Hokkaido, and various situation from high mountains to the level ground can be enjoyed. 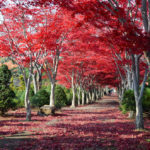 The fall foliage season is different depending on various regions, and is relatively wide from late September to late October, too. 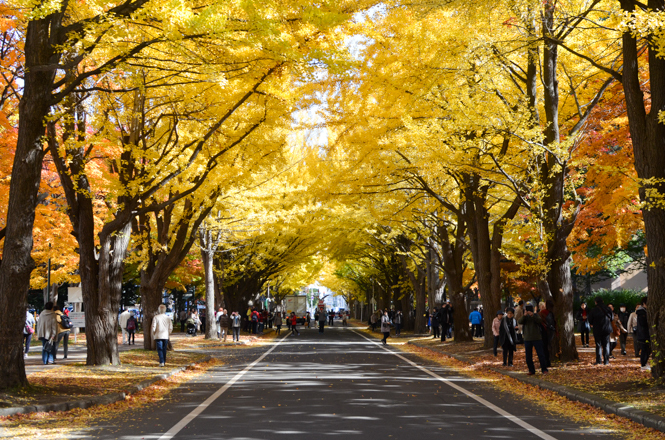 Jozankei (定山渓), Hoheikyo (豊平峡), Sapporo International Ski Resort (札幌国際スキー場), Lined Gingko Trees with Fall Foliage in Hokkaido University (北海道大学イチョウ並木), Odori Park (大通公園), Maruyama Park (円山公園), Hiraoka Greenary Center (平岡樹芸センター), Asari Dam (朝里ダム), Nopporo Forest Park (野幌森林公園), Lake Shikotsu (支笏湖), Sankaidaki Park (三階滝公園), Lake Toya (洞爺湖), Noboribetsu Onsen Jigokudani (登別温泉地獄谷), Niseko Panorama Line (ニセコパノラマライン), Shinsennuma Pond (神仙沼), Lake Kasturazawa (桂沢湖), Blue Pond (青い池), Takinoue Park (滝の上公園), Hakusen Falls (白扇の滝), Goshiki Gorge (五色渓谷) are known as the beauty spots for the fall foliage. 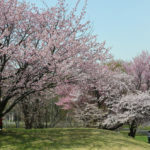 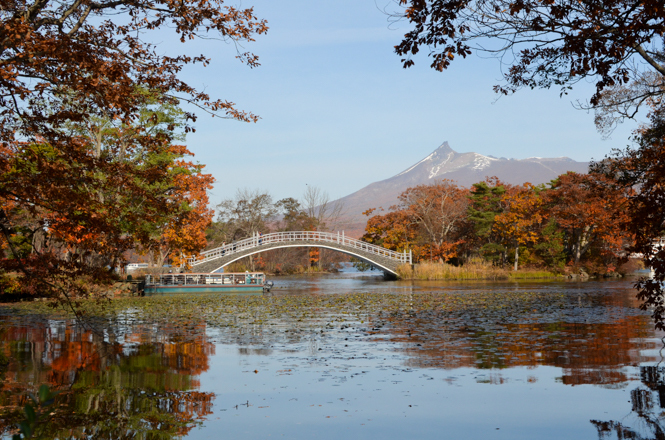 I visited the Jozankei, the Hoheikyo, the Hokkaido University, the Odori Park, the Hiraoka Greenary Center, the Noboribetsu Onsen Jigokudani, the Shinsennuma Pond and the Takinoue Park. 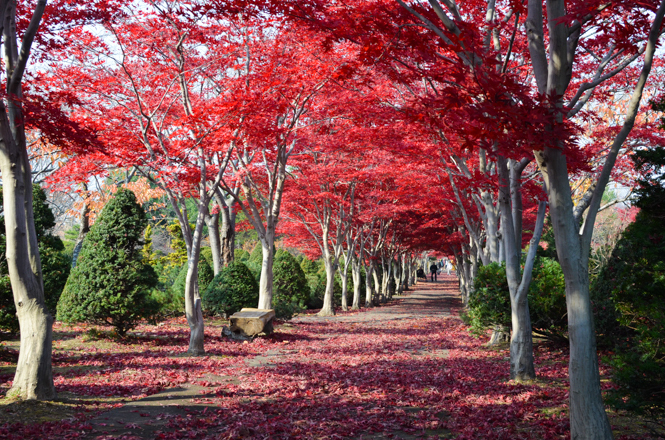 Each situations go well with red leavles or yellow leaves, so those are very beautiful. 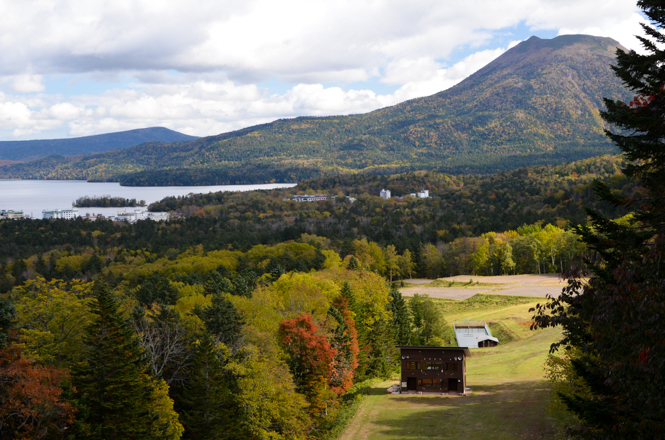 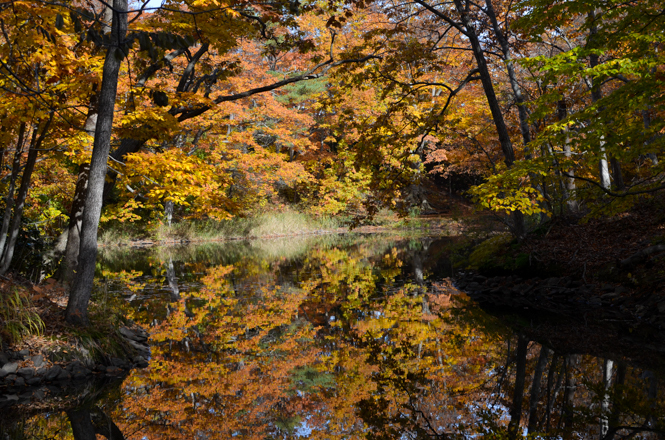 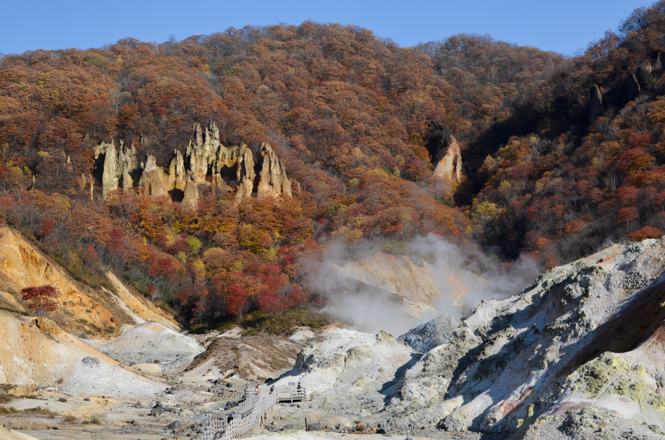 Beauty spots for the fall foliage in Northern Hokkaido are concentrated in Kamikawa. 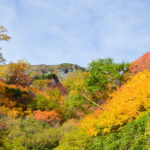 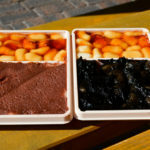 It is said that Daisetsu-zan (大雪山) turns red in mid September at the earliest in Japan, and it is said that Daisetsu Kogen Onsen (大雪高原温泉) is the most beautiful fall foliage in Japan, too, and there are a lot of the beauty spots for the fall foliage around Sokunkyo (層雲峡). 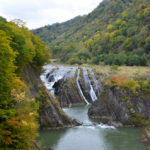 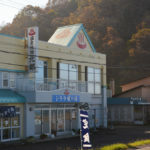 Sounkyo (層雲峡), the Daisetsu Kogen Onsen, Ginsendai (銀泉台), Ryusei Falls and Ginga Falls (流星の滝と銀河の滝), Mt. 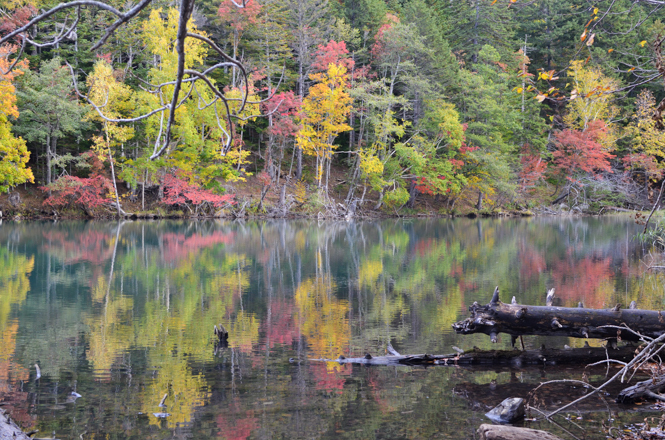 Asahidake (旭岳), Kamuikotan (神居古潭), Lake Shumarinai (朱鞠内湖) and Otoineppu Gorge (音威子府渓谷) are known as the beauty spots for the fall foliage. 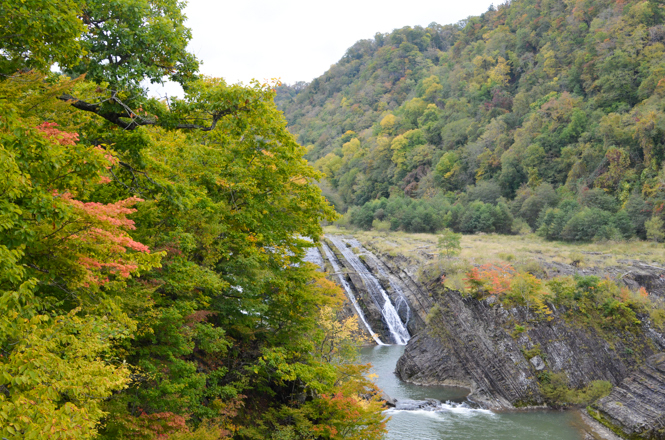 I visited the Sounkyo, the Daisetsu Kogen Onsen, the Ginsendai, the Ryusei Falls and Ginga Falls, the Mt. 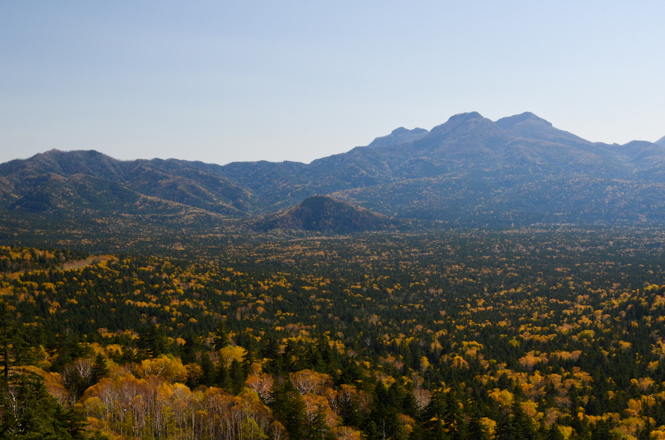 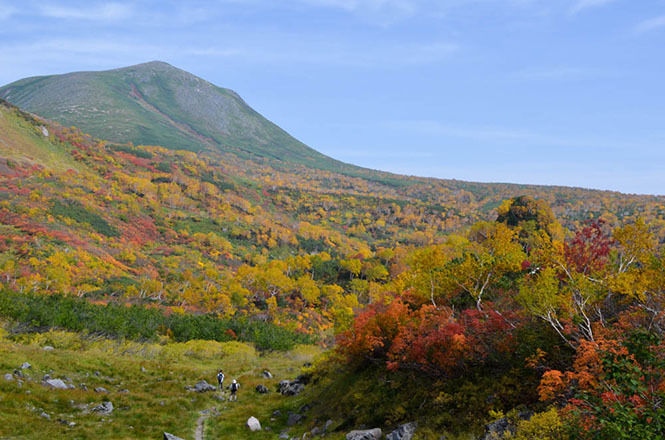 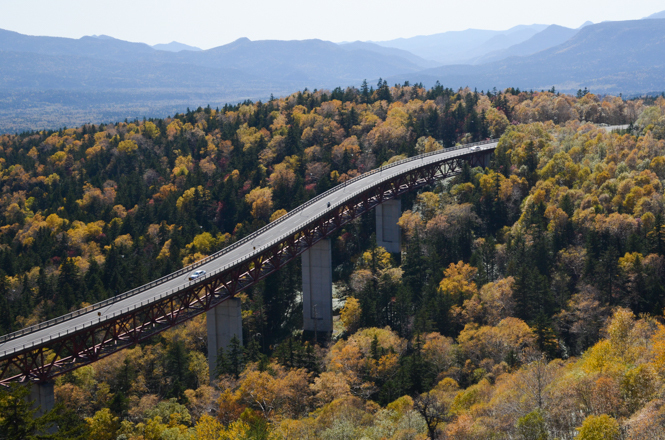 Asahikdake and the Kamuikotan to enjoy the fall foliage. 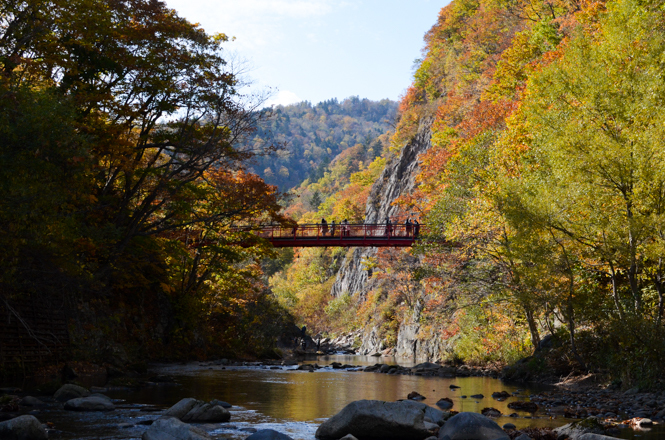 I think that the Daisetsu-zan with the fall foliage is too large-scale. 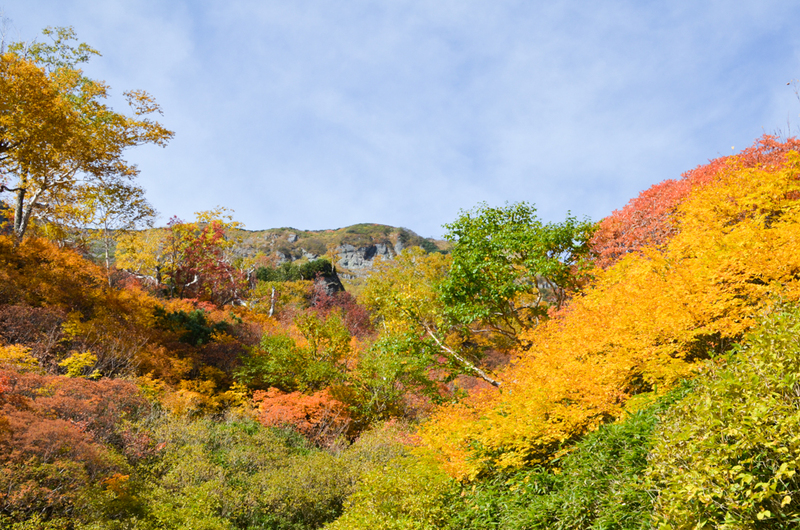 Eastern Hokkaido is a vast land in Hokkaido, and a combination of nature and the fall foliage is very beautiful. 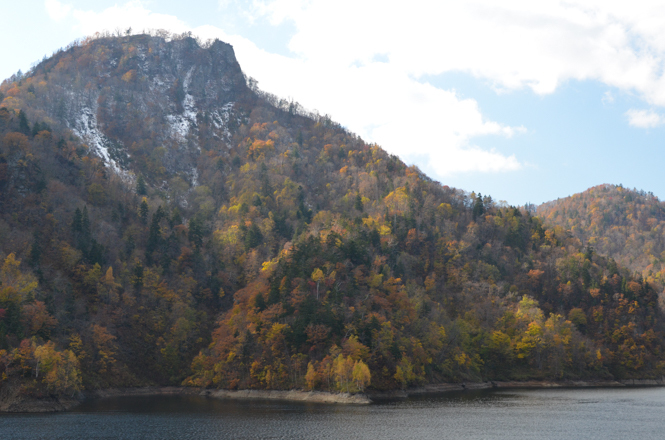 Shiretoko Pass (知床峠), Mikuni Pass (三国峠), Lake Nukabira (糠平湖), Lake Kussharo (屈斜路湖), Lake Akan (阿寒湖), Lake Onneto (オンネトー), Lake Shikaribetsu (然別湖), Pyotan-no-Taki Falls (ピョウタンの滝), Iwanai Gorge (岩内仙峡), Lake Notoro (能取湖), Lake Saroma (サロマ湖) and Lake Komuke (コムケ湖) are known as the beauty spots for the fall foliage. 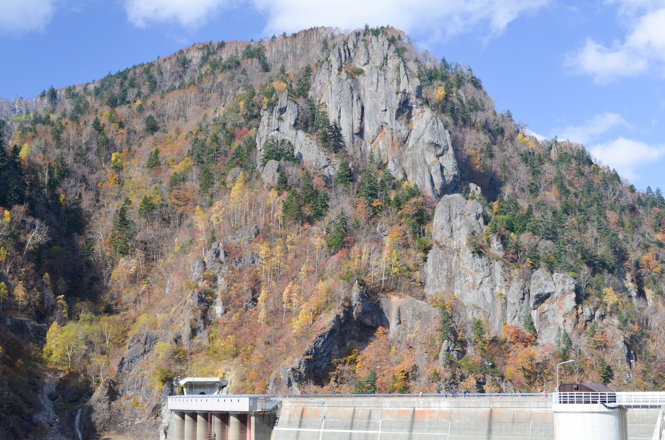 I visited the Mikuni Pass, the Lake Kussharo, the Lake Akan, the Lake Onneto, the Lake Notoro, the Lake Saroma and the Lake Komuke to enjoy the fall foliage. 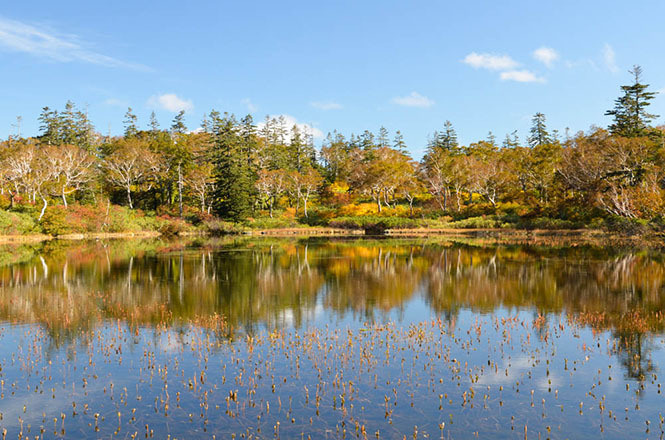 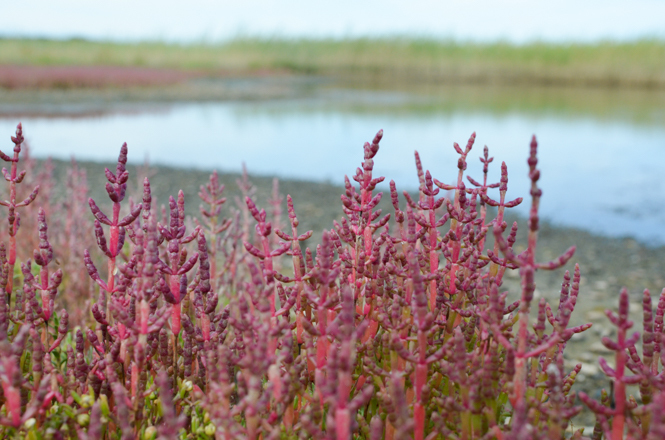 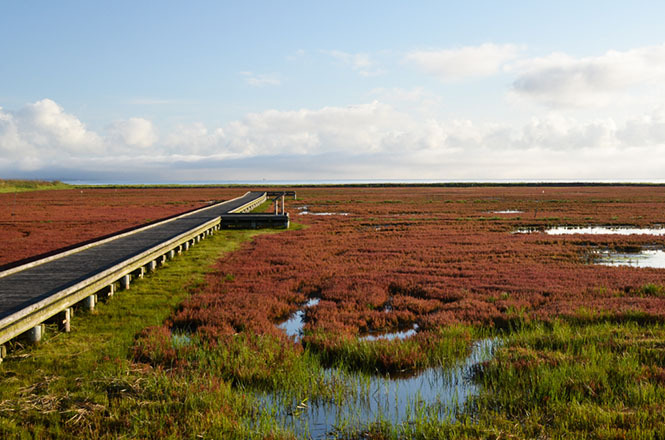 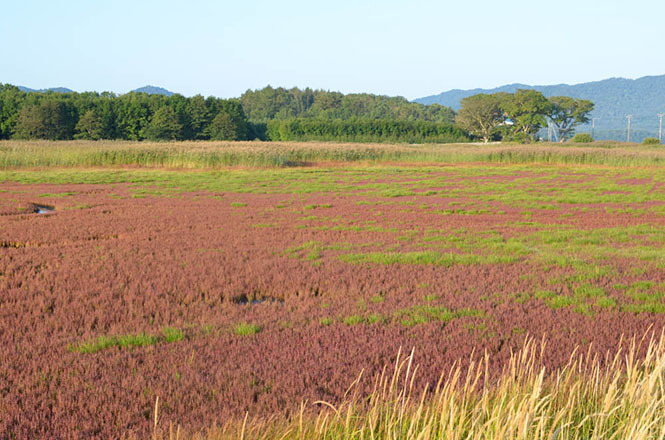 A rare plant, Coral Grass Colony with the fall foliage, can be seen in the the Lake Notoro, the Lake Saroma and the Lake Komuke, and Large colonies of the Coral Grass Colony are grown only along the Sea of Okhotsk in the Eastern Hokkaido in Japan.